4 Easy, Delicious Dinner Ideas A warm cheesy Biscuit to bake, and one dessert idea to add to your Monthly Meal Planning! Phew! I can't believe we've made it through the holiday season! Time to kick off the new year with easy, cozy meals, that warm your family up in the winter chill! 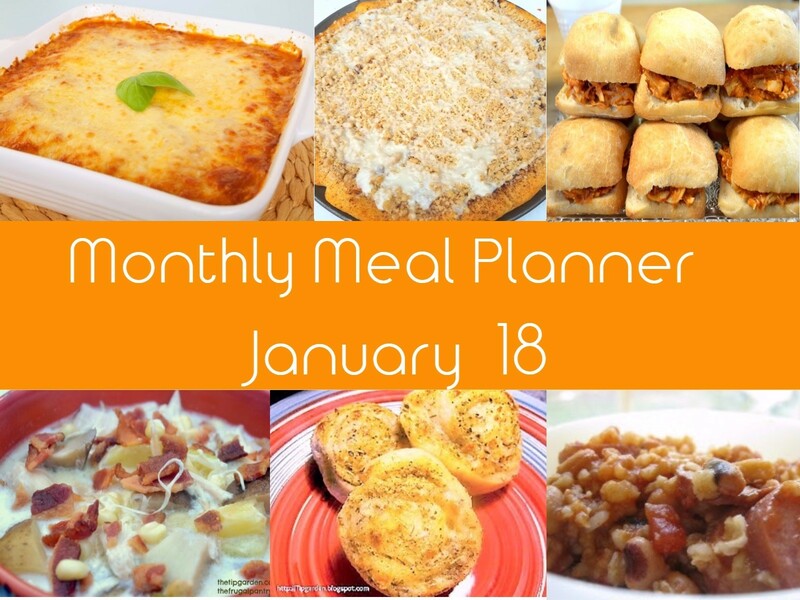 I will need some easy to pull together meals this month! My daughter got married the first week of December, but it was out of state where she has been living. We are hosting a second "open house" style reception the third week of January here at her home town church, so her friends, and loved ones that watched her grown up that couldn't make it to the wedding can come meet the groom and give them well wishes. SOOO... that means the wedding craziness is not quite over! Stress free dinners is on MY menu planner this month, for sure! Stress Free Tip #1: So one of my go to tricks is to grab several precooked rotisserie chickens from the wholesale clubs. I keep one full cooked one in the freezer. For one meal, I pop into the crockpot completely frozen and set it to warm (not low) in the morning, making sure to scrape in all the bits of frozen juices, etc from the bottom of the pan. When I come home at days end, it's completely warmed up to perfect serving temperature! Just need to heat some veggies and any potatoes you might want to add. and dinner is ready to go in minutes! Stress Free Tip #2: Take 1 or 2 remaining rotisserie chickens you purchased and immediately debone them and dice them into bite sized pieces. store them in 2 cup serving containers in the freezer so they are ready to grab and make a quick meal, such as the ones in our meal planner below, or quick meals such as chicken tacos, cobb salads, chicken quesadillas, bbq chicken sandwiches, etc. 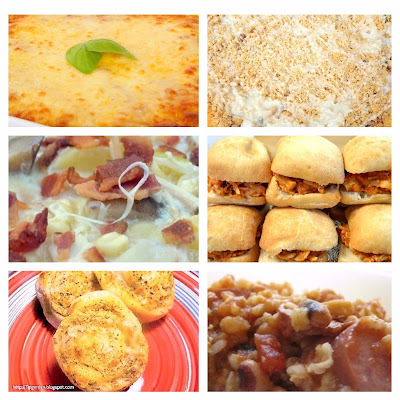 Here are some recipes I love to make and will be putting on my January planner this month! First: Lets kick off the New Year with a pot of Good Luck! It's a southern tradition that if you eat black eyed peas on New Years Day, you will have a prosperous year and good luck in the coming year. Why tempt fate? 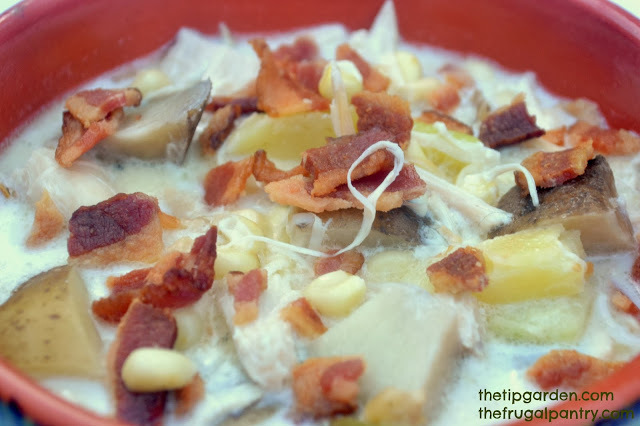 Hoppin' John Chowder is a traditional new years day dish to make. My version is made right in the crock pot! 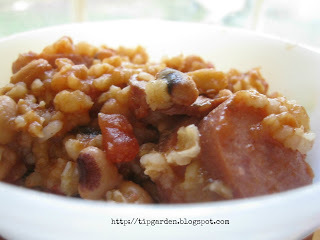 With savory Kielbasa, and tomatoes with green chili's your family will gobble it right up! Sloppy Joe Buffalo Chicken Sliders are a fun meal or perfect for that meal during any "big game" you may be watching! You can make full sized sandwiches or small sliders! A fun twist on sloppy joe's and buffalo chicken they are tasty blend of the two that even your kiddo's can enjoy! 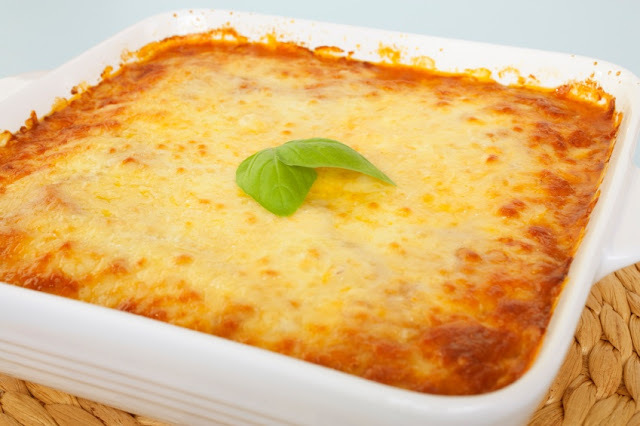 Chicken Enchilada Casserole is great meal to throw together last minute OR prep ahead, and freeze, and then pop in the oven to bake off for dinner! Plus you can be flexible on the ingredients with what you have on hand at home! Feel free to play around with this one! 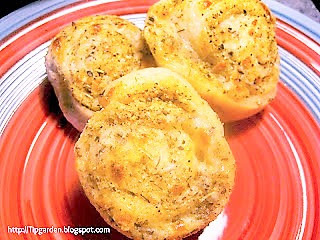 Garlic Parmesan Pinwheels are an easy to make cheesy bread that starts with roll out pizza dough and goes perfectly with almost every meal! It's a staple go to when you want to just jazz up dinner a tiny bit, and make it extra special, but not a ton of work! 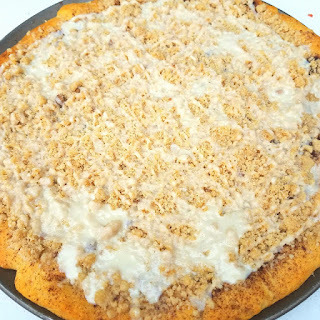 Cinnamon Streussel Dessert Pizza is a fun dessert or take to a party! You simply can't go wrong, keeping this recipe in your files! It's loved by everyone! These all look delicious! I'm going to have to try your dessert pizza at our next pizza night!